Scott Bourquin is a former military instructor pilot and combat veteran, During his career, he flew the C-26, F/A-18 and KC-10 while also acting as the Chief of Information Systems. While an Air Force Reservist, Scott started out working at places like Stanford University, Apple and AirTouch (now Vodaphone-Verizon) before he built and sold businesses in the technology field. Scott is an established speaker in the consumer electronics industry and author of several popular books. Prior to being a pilot, Scott was a Military Law Enforcement Specialist and member of the California National Guard Marksmanship team earning several state and national titles as a marksman. Scott is an accomplished athlete with wins in skiing, cycling, marksmanship and auto racing. A native Californian, Scott surfs and ski’s regularly while enjoying the outdoor lifestyle of California. 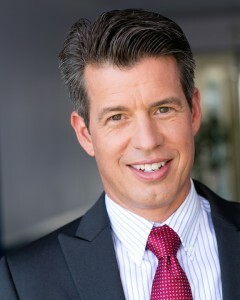 Scott is a founding partner of the Bourquin Group LLC. The Bourquin Group is an online marketing and advertising business for small business with a mission to help businesses with less that five locations and 50 employees compete against the big boys. Additionally, Scott works as an Actor in Television, Film and Commercials, using that reach to help his clients grow their businesses better.